PADI Specialty courses at a glance. As the sun sets, you put on your dive gear, slip on your scuba mask and bite down on your dive regulator. A deep breath and you step off the jetty or boat – into the underwater night. Although you’ve dived this spot many times before, this time you drop into a whole new world and watch it come to life under the glow of your dive light. Introduce yourself to the whole new cast of critters that comes out after the sun goes down. See your favorite dive sites from a whole new perspective at night. An ideal specialty to complete on a Diveworld trip. To grab your course materials , contact DIVEWORLD. Take your navigation skills to new levels with the PADI Underwater Navigator course. Get your buoyancy dialed in with the PADI Peak Performance Buoyancy course. Recognise what those critters are on your night dive with the AWARE Fish Identification course. Join us on a Diveworld trip and experience night diving adventures. For more information about this or other PADI courses have a chat with one of the DIVEWORLD Team members. 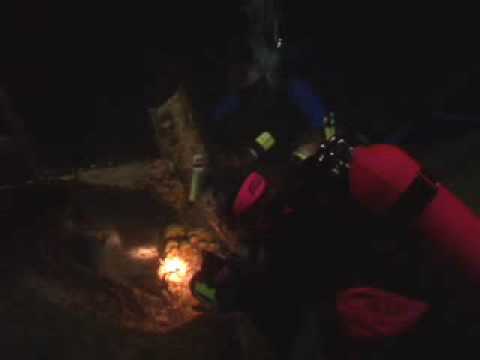 Contact us to take the Night Diver course.